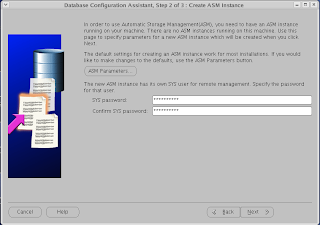 As i explained in my previous post the configuration of Oracle ASM on Linux. 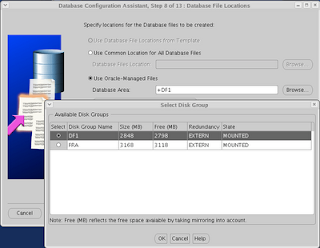 Next step is to configure Oracle ASM Instance which will manage our data and our database software. 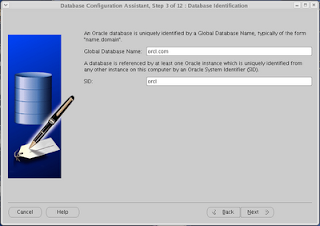 Installation of Oracle (You can find thousands of installation guides on google) here the one i found. 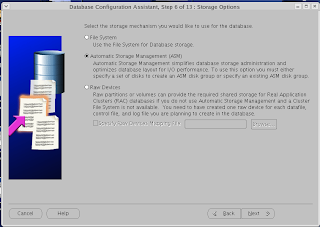 After installing Base Software we will install Oracle for ASM in another Oracle Home. 3. 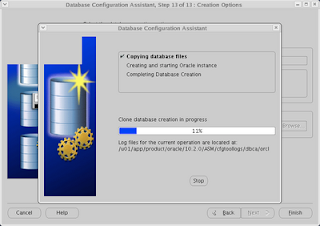 Run Oracle Installer runInstaller script as oracle user. 5. Select Configuration option Choose Software only. 6. Run the root.sh script in other terminal login as root comeback to Installer and OK exit the Installer. 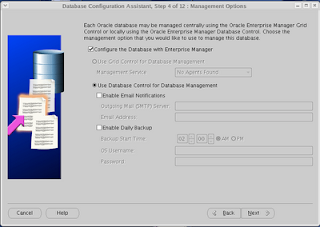 Note: Executing this command will create the Oracle Cluster Registry (OCR) keys. 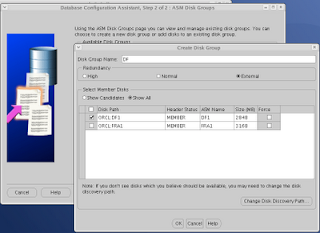 High : Trice Mirroring required more disk space. 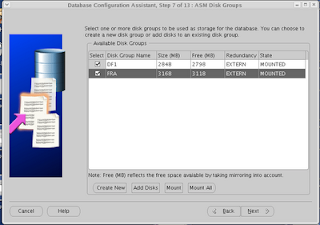 Normal: Double Mirroring at ASM level. External : Mirroring is OS dependent. 10. 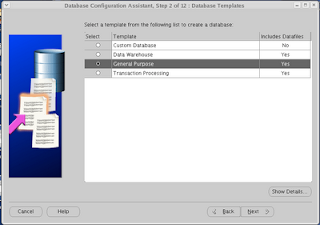 Run dbca and Follow screen shots. 12. 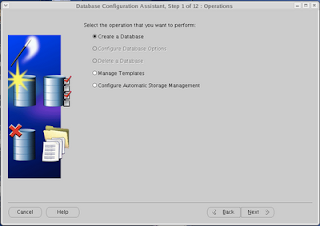 Set ORACLE_SID = +ASM and ORACLE_HOME to ASM Home Start the Instance using sqlplus and then change ORACLE_SID to orcl and ORACLE_HOME to orcl home and start the instance of orcl. How to create ASM in Oracle_Developer_Day.ova? 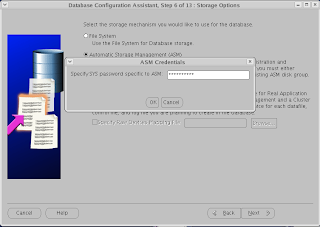 because it's doesn't show ASM in Enterprise Manager. I believe you have to create new instance . 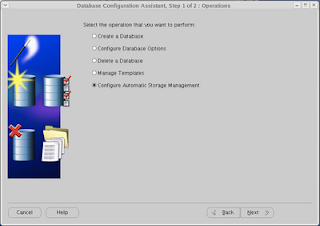 I haven't use Oracle developer day vms for database. Could you please clarify my confusions? How do i set +ASM instance to be up and running from $ASM_HOME ? 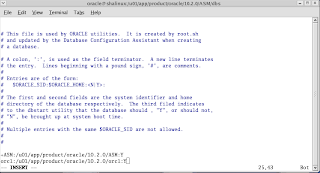 Set ORACLE_SID = +ASM and ORACLE_HOME to ASM Home Start the Instance using sqlplus and then change ORACLE_SID to orcl and ORACLE_HOME to orcl home and start the instance of orcl.